In a diversity of dry to swampy deciduous and mixed forests, even under conifers and in cedar swamps; thickets and banks along streams. 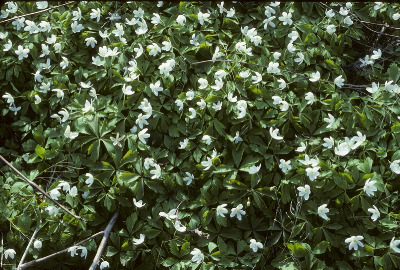 This is a relatively short plant, compared to our other species, less than 2.5 dm tall (often only 1 dm), never with more than a single flower, which is 1.5–2.5 (–3.2) cm across and blooms in the spring. MICHIGAN FLORA ONLINE. A. A. Reznicek, E. G. Voss, & B. S. Walters. February 2011. University of Michigan. Web. 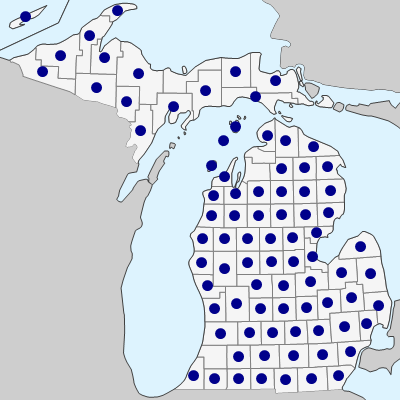 April 19, 2019. https://michiganflora.net/species.aspx?id=2360.